Wastewater treatment facilities are extremely vulnerable to freezing conditions and other cold weather related problems due to the amount of exposed tanks, pipelines, mechanical moving parts, control boxes, etc. within the facility. 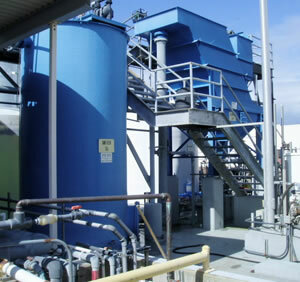 Common problem areas include transfer lines, sludge lines, valves, floats, bar screening, stairs, platforms, and more. If these parts freeze, it can cause significant downtime, and in some cases damaged equipment. In many cases, these applications will require hazardous area approved products. For freeze protection on pipes, valves, tanks, and more, install BriskHeat SLCBL self-regulating heating cable. SLCBL heating cable is ideal for freeze protection applications because heat output is self-regulated by ambient conditions and only provides enough heat necessary to prevent freezing conditions. The cable is run along and around the areas that need heat to prevent freezing conditions. It can also be installed around doors, stairs, platforms, and moving parts as a convenient way to prevent ice from building-up. SLCBL self-regulating heating cable is approved for use in hazardous area locations. For energy efficiency and a longer product life, use Insul-Lock® DS foam pipe insulation to wrap around pipes and heater assemblies where self-regulating cable is installed. The insulation helps to lock heat in where it is needed to ensure an efficient and reliable freeze protection system. To prevent equipment from malfunctioning due to freezing electronics, the BriskHeat® TSREH enclosure heaters are installed inside the control panel. 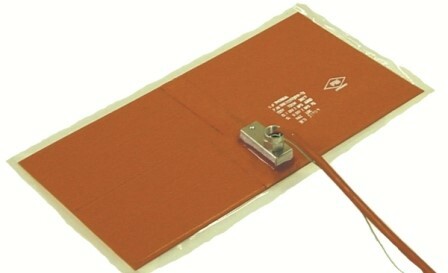 They are silicone heaters with a built-in on/off controller and mounted onto an aluminum plate. The heater radiates the necessary amount of heat within the control box to prevent freezing conditions from occurring. The aluminum mounting plate has holes pre-drilled onto the flange for easy installation. Additionally, Insul-EZ peel and stick insulation can be installed around the control box to decrease heat-loss and further protect electronics and keep systems operating. BriskHeat’s SLCBL self-regulating heating cable can be used to prevent freezing conditions on almost any pipe, tank, vessel, door frame applications and more.